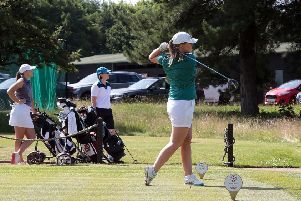 GAINSBOROUGH Golf Club's juniors are the cream of the county. Worksop golfer Mark Foster is in action in South Africa this weekend. The 40-year-old’s first tournament of 2016 is the BMW SA Open hosted by City of Ekurhuleni at Glendower Golf Club. As the Guardian went to print Foster was four over through 15 holes in round one, and sat in a tie for 89th place. The clubhouse leader was Jaco Van Zyl. Foster finished 2015 by missing the cut at the Alfred Dunhill Championship and taking a share of 21st at the Australian PGA Championship. Fellow Worksop export Lee Westwood gets his 2016 off to a competitive start next week at the Eurasia Cup presented by DRB-HICOM at Glenmarie Golf and Country Club in Kuala Lumpur, Malaysia. It’s the first of four tournaments in consecutive weeks, the other three all taking place int he United Arab Emirates.